Definition - What does Zona Pellucida mean? 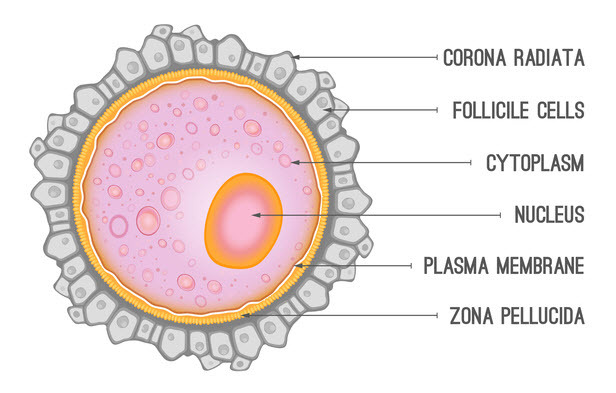 The zona pellucida is a protein membrane shell that coats an egg as it develops in the ovary. The shell helps to regulate fertilization and remains in place until implantation. To facilitate successful conception, the shell must be the appropriate thickness, allowing sperm to permeate the casing, and for the embryo to "hatch" from the shell at the time of implantation. Once the egg is released from the ovary, it remains membrane coated as it travels through the fallopian tube. However, as it progresses through the tube, the lining of the shell begins to thin. The thinning allows for penetration by the sperm, while remaining thick enough to regulate the potential sperm matches. This works to prevent unhealthy or weak sperm from reaching the egg itself. Once fertilized, the zona pellucida prevents additional sperm from fertilizing the egg. However, by the time the embryo reaches the uterus, the zona pellucida has thinned enough for the embryo to break out of the shell, or "hatch" allowing for implantation into the endometrium. Advanced maternal age (AMA) has an impact on the thickness of the zona pellucida. As age increases, the thickness of the membrane increases, making it harder for the embryo to break free prior to implantation. During in vitro fertilization (IVF) procedures, a technique called assisted hatching creates a small hole in the outer shell prior to transfer. For certain cases, this is thought to allow for a greater chance of implantation success.